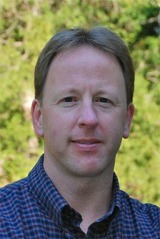 Tim Stanley is the president of TSI Systems, LLC. and is currently working with E3 Retail. He formerly worked for ISS Retail. He was also chairman of the Microsoft ActiveStore Global Core Team from 1998 through 2000. He has been a guest speaker for standards in the retail industry at Microsoft events throughout the United States, Japan, and Europe. In June 2001, Tim Stanley was presented with Microsoft's Retail Application Developer (RAD) Key Contributor Award for contributions made to the retail industry in helping to lower the total cost of ownership through the development of industry standards. Tim Stanley also helped PSI win the 1999 Microsoft Certified Solution Provider Award for Best Business Solution by an Independent Software Vendor and an honorable mention for the Microsoft RAD awards. While working with several global organizations including ISS Retail, Fujistu, International Computer Ltd. (ICL), and Post Software International Inc. (PSI) in Europe and in the U.S. developing software for the retail divisions, Tim Stanley helped the organizations focus on profitable software development processes. Tim Stanley has delivered software solutions on DOS, OS/2, AIX, NCR V.4, SCO, HP/UX, and for the last decade has focused on Microsoft-based software solutions. A Georgia Institute of Technology graduate, Tim Stanley holds a B.S. in Electrical Engineering.